An exciting, new version of a classic game of Ludo! 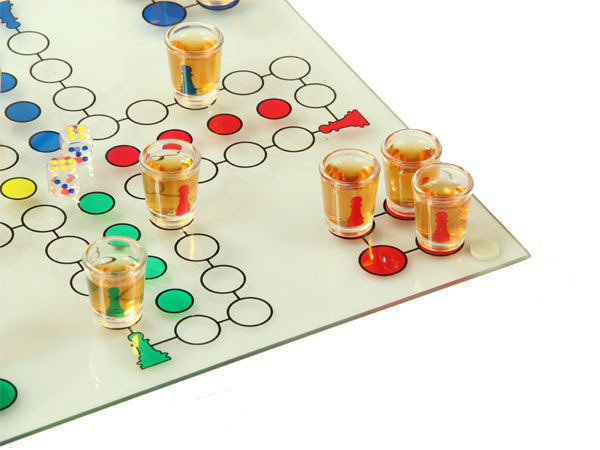 Drinking Ludo is bound to boost any games night! 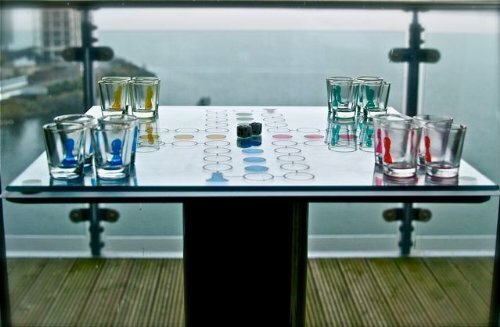 All you need to do is set up the game, fill the 16 shot glasses with your favourite tipple and get started! 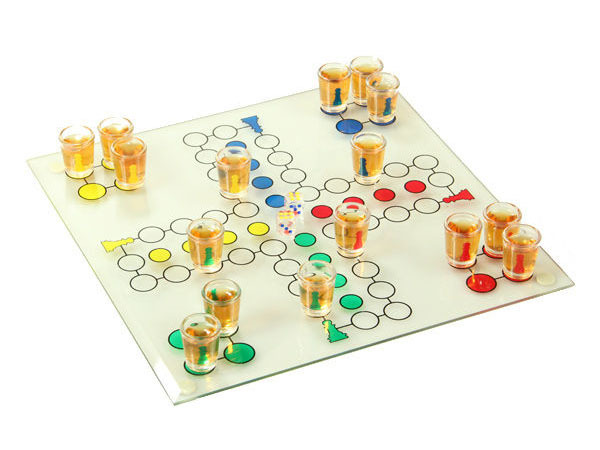 Drinking Ludo is a lot like regular Ludo. There's just one small difference. When your counter glass lands on the same spot as another player's you are obliged to down a shot before going back to the start. We recommend you play this game with 2 or 4 people. You could also form larger teams if your group is bigger! The more the merrier! 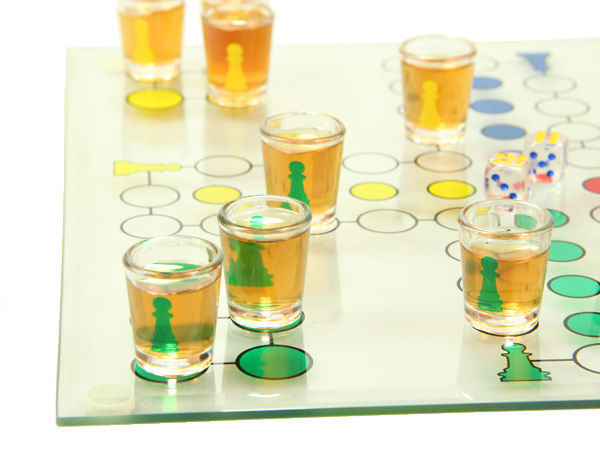 Add a shot of fun to your games night!